I was recently asked by the amazing people at Green People whether or not I would be interested in trying a couple of things from their Organic makeup line, immediately I said yes. I LOVE their skin care products for both Darcie and I and so its only natural that I would be interested in their make-up. I love my make-up, experimenting with the latest products, trying to hide sleepless nights... but one thing that I have never taken much notice of, until now, is whats IN these products. Mica is an ingredient that brings shimmer to many makeup products from eye shadows to nail polish, whilst its a natural mineral product many, many companies can not guarantee how they're obtaining the mineral. Unfortunately a lot of the Mica Mineral is obtained by using child labour in illegal Indian mines. Children as young as five climb down narrow, fragile mine shafts, constantly at risk of being trapped underground. As a mother I can't even contemplate, under any circumstances, the use of child labour. So I now will think twice about where my makeup is coming from. Green People were one of only four out of sixteen companies questioned which cold prove they don't use Mica that has been involved child labour in its extractions. SO what about the products themselves? I was kindly sent the Gold Shimmer Bronzer and the Night Forest Eye Duo and Green People doesn't disappoint. 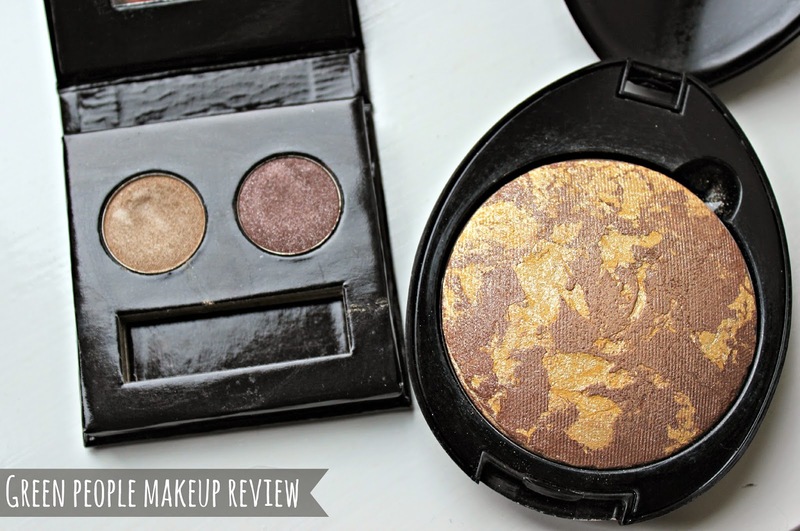 The Gold Shimmer Bronzer is very similar to another product I use, but had been finding that it was too orangey and glittery. This one though, is perfect! It is not over the top at all, gives a lovely glow without feeling like you look like a glitter ball, in fact its the perfect bronzer! This one is priced at £20 but I think its worth every penny and I'm super pleased with the results! The Night Forest Eye Duo has made a welcome addition to my eye shadow collection. I adore the natural shimmery colours so this was a superb choice for me. 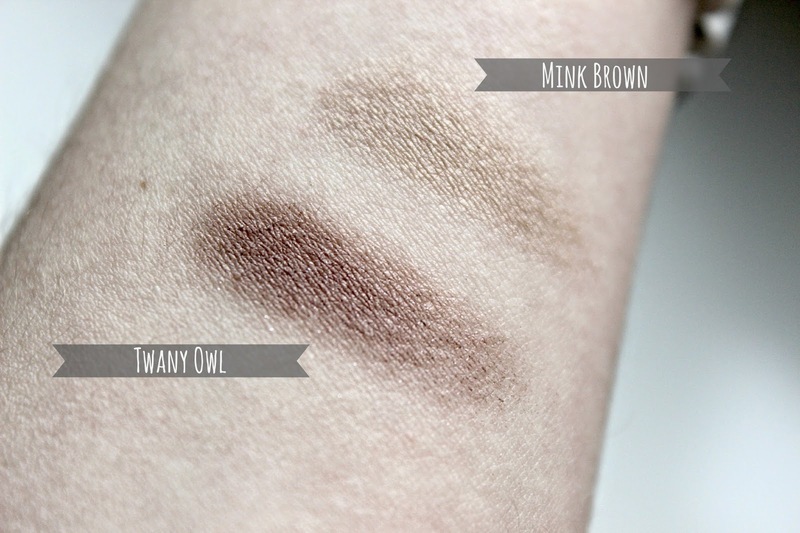 I love how these two shades work together, they blend beautifully but and important point to note is that they ideally need a primer for all day ware. This doesn't bother me as I always wear one underneath shadow. This is priced at £17.50. I have been so happy with these products that I want to try out some more, like the Mineral Blush Powder in Rose and the Concealer. 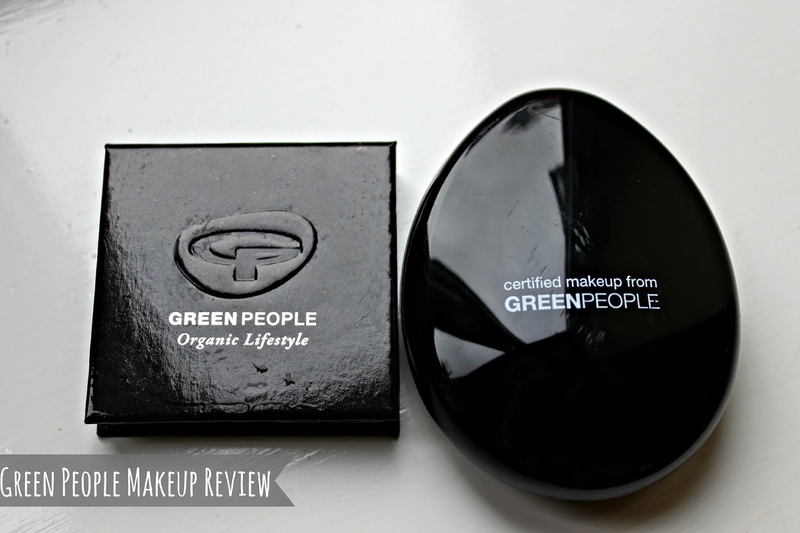 Have you tired anything from Green People's Organic Makeup Range?